Tri fins are the side fins in a trifin-setup. They are identical to the X-twins but shorter and therefore have less area. Still, the exceptional characteristics in speed, grip and manoeuvrability are achieved. 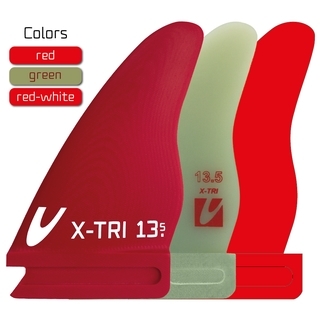 Combined with a single X-Twin, an X-Tri fin set is the ideal configuration for all conditions - Robby Swift´s favourites!